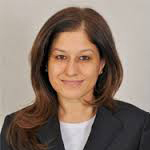 Ms. Gauri Rasgotra(46), DIN: 06363951, was appointed as Director of the Company on 26th September 2014. She is an Advocate and has a rare combination of advisory and litigation experience of 21 years in both academic and corporate settings. She has 15 years of active experience in litigation in the Supreme Court as well as other courts in India on behalf of Ms. Khaian & Co LLP. She also worked in U.S.A. at the George Washington University Law School. She is also Director on the Boards of VISA Steel Ltd. and HIL Ltd.